Gannett has made a majority investment in online media company Grateful Ventures to expand into lifestyle content. It is the first major investment outside of news for the publisher, which owns more than 100 media organizations in the country. Grateful Ventures was created in 2014 by Kyle Cox, founder of women-focused digital media company SheKnows Media, and Justin Rainbow. Grateful oversees a network of cooking sites and food blogs and helps build out lifestyle content and monetization strategies for websites and bloggers. "We only have a majority stake, we don't own them 100%. We aren't disclosing the investment, but it was mid-seven-figure range," Gannett stated. Headquartered in Phoenix, Arizona, Grateful will now be part of Gannett’s USA Today Network, which includes USA Today and its other local and national brands. The publisher will focus on expanding Grateful Ventures’ food and cooking content, which will appear on Gannett’s websites and social-media accounts. 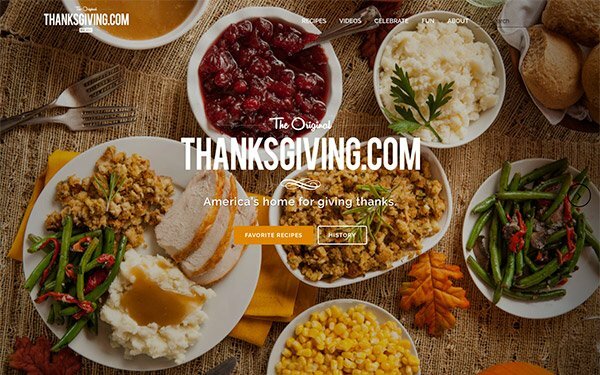 Gannett will work to rebuild Grateful’s Thanksgiving.com site, through the scale and promotional reach of the USA Today Network. The website covers all things Thanksgiving-related, from turkey recipes to family activities. Grateful will expand its team to launch new lifestyle sites in 2018, likely in the beauty, style, parenting, health and fitness categories. The categories will help Gannett increase its female audience, a highly sought after demographic for some advertisers, Maribel Perez Wadsworth, Gannett’s chief transformation officer, told Reuters. “Our aim is to become a daily destination for our audience, so tapping into lifestyle will help,” she said. Grateful will use Gannett’s investment to develop its social-media platform, called FoodBlogs.com, created exclusively for food bloggers. Soon, Grateful will build a kitchen studio to regularly produce food-related videos. Grateful reaches an audience of about 8.5 million each month.